Still struggling to find the best offers because you know you wanna make money faster like a real master? Lost in a vortex of boring tests and tired of incompetent tracking? Mobidea’s Key Account Managers – Karina and Tatiana – are here to cheer you up! These awesome gals are gonna give you the most useful tips on how to find profitable offers, run A/B tests with class, and keep track of your performance! 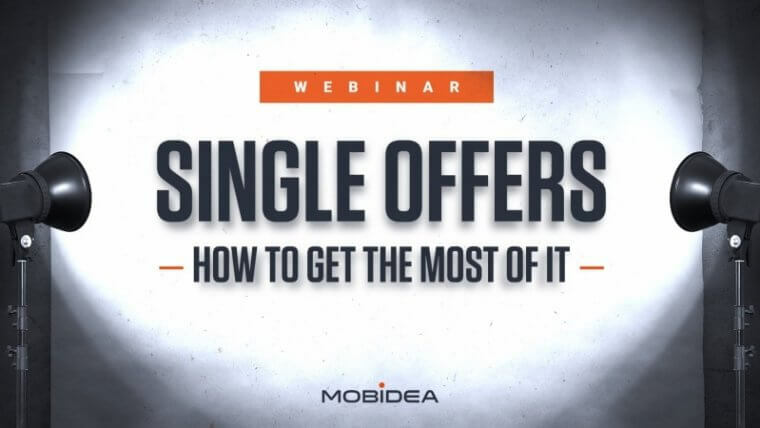 Check this Single Offers Webinar (slides here) and make it rain like it’s insane! Pay attention to the questions Tatiana answered in the Webinar’s chat! Take max advantage of this incredible knowledge, and start running your super successful campaigns RIGHT NOW!